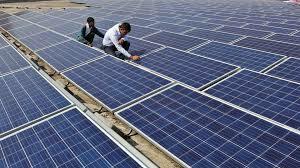 Lanco power is participating in a 50 MW solar park bid in the state of Andhra Pradesh. Firstgreen was hired for the bid advisory and BOQ estimation for civil related scope of the proposed 50 MW solar project. Firstgreen provided the services related to engineering and design (Civil), planning for the array layouts, Inverter room design, storm water planning, roads design, contour layouts, Control room design, foundation design etc.